Vadvanal Stotra is a prayer dedicated to Hanuman. It was composed by Vibhishana, the brother of Ravana who was given refuge by Bhagavan Sri Ram. As per the story in vogue, Vibhishna was an ardent devotee of Sri Ram and Hanuman. After becoming the king of Lanka, he used to remember them always in his prayers. 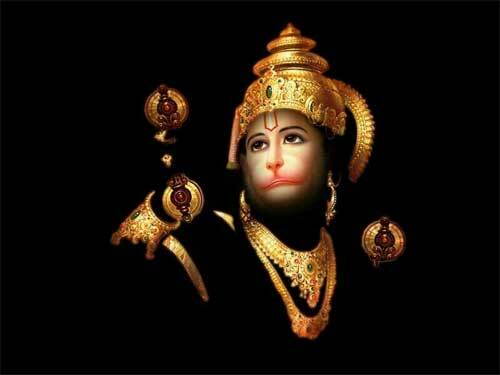 Whenever he came across any difficulties in his life, he used to pray to Hanuman and Lord Ram. It was during one of his prayers that he wrote the famous Vadvanal Stotra. The prayer has the blessing of Lord Ram and Hanuman. It is believed that a devotee will be protected from all forms of troubles after chanting the stotra. It is also chanted for desire fulfillment. Vadvanal Stotra is chanted 108 times in the morning and evening continuously for 41 days. Before chanting, a lamp should be lit in front of Hanuman using mustard oil.